Raw material provisioning and transport strategies. 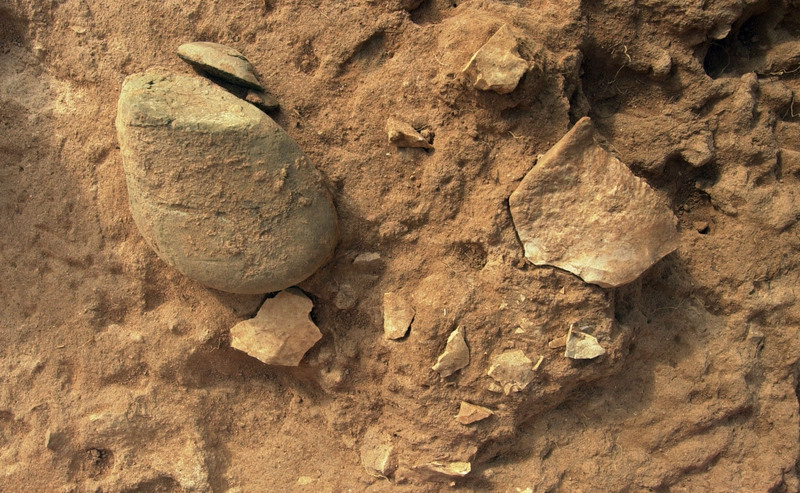 This topic includes the characterization of the different raw material sources and the different ways of carrying lithic resources into the sites, according to distance and raw material quality. Technological strategies for lithic production and tool manufacture. This topic is addressed through different approaches, like the morpho-technical analysis of lithic remains (cores, flakes, retouched artefacts), refitting and 3-D scanning. This data allow discussing a wide range of cognitive, economical and cultural issues that are essential to explain assemblage variability (technical complexity of humans, raw material economy, chrono-cultural adscription of lithic assemblages, recycling, technological change through time, etc). Functional studies. Tool function is addressed through the microscopic analysis of the archaeological tools, in order to identify the traces on their edges and surfaces that are linked by its utilisation. These traces include a number of features like usewear, hafting traces, and residues, which are interpreted basing on wide experimental programs. Spatial distribution of lithic remains and formation processes. The spatial location of knapping activities and refuse areas are essential to approach the organizational complexity of prehistoric human groups, but also the temporal dynamics of assemblage formation. Spatial analysis, refitting and identification of Raw Material Units (RMU) provide the basic data to address these topics. Experimental archaeology. Used as a procedure to obtain reference data for the proposal, validation or rejection of hypotheses on the technological processes of tool production and use, as well as on the processes affecting the tools after discard. Special attention has been paid to the usewear formation models and to cognitive issues related to the stone knapping.